Heisinger Tree Service has 23 years of experience trimming trees in the Clarksville Tennessee area. Everyone knows that to keep healthy trees, you need to keep them trimmed and pruned at the right time. Having trees, shrubs and bushes in Tennessee can offer many challenges. Our warm summers often stir up large storms which can blow over or break branches. Having a healthy tree will help keep your trees from causing damage. If your trees or bushes have overgrown and have dead branches it might be time to call in a professional tree trimmer, such as Heisinger Tree Service. If you do not know what you are doing or do not have the right equipment, you shouldn’t be trimming trees. If you over trim a tree, you can cause damage to the tree itself. It is always best to hire a tree trimming company who knows exactly what they are doing and how to handle the different types of trees, shrubs and bushes on your property, otherwise you risk damaging the tree. Heisinger Tree Service is run by professionals who know what needs to be done and who have the right equipment for any job. Our company is insured for your protection as well as the protection of your property and structures. Our top priority is the safety of our crews as well as for your safety. We make sure every job is done with our customer’s complete satisfaction. If we can show you our best work, we can win your business again. The best complement you can give us is a referral. This has allowed our business to become one of the top tree trimming companies in Clarksville TN. Our business will only employ professionals, those who have the experience and knowledge of tree trimming. All of our employees know that our customers come first. They will make sure your property is well cared for and that all of your questions are answered before any work is started. We encourage our customers to ask as many questions about the tree trimming process as they want. It’s always best to get your questions answered before we begin our work. Never hire a tree service based on price alone. If you do, you might be unsatisfied with the way your trees turn out. Trimming trees takes some knowledge on how best to cut the tree limbs and when its the best time to do the trimming. We know that tree trimming is unique for every customer. Our promise to you is that when you call Heisinger Tree Service, we will listen to your questions and make sure we are all on the same page before any work is started. If your trees are well cared for, they should be full of life and grow healthy for years to come. We hope you call us for any of your Clarksville tree trimming needs. With most jobs we will need to meet with you and talk about what trees you want us to trim as well as any goals you may have for your trees when we leave. How does our process work? After we have meet and agreed to a time and day we will usually arrive early. Our job is only completed after you have signed our form which tells us you are completely satisfied with our work. 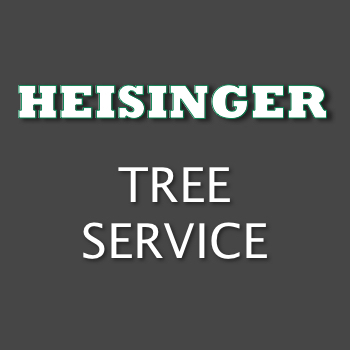 We would love for you to use Heisinger Tree Service for any annual tree trimming you may need. Many of our customers come back to us every year as well as they refer friends and family back to our company. Call Us Today: (931) 444-7832 and let’s discuss how we can become your tree trimmer in Clarksville TN.